There is plenty of confusion surrounding how a guy should style his suit or sport coat jacket…along with plenty of opinions. Today, I will share my personal thoughts and advice on lapels. Watch for future posts on venting and jacket length. Notch lapels are the most popular collar style. Their width should vary depending on one’s size. I recommend staying away from trendy alternatives such as peak lapels for most customers. The real variable is lapel width. We are faced with an interesting dichotomy today…retail stores in the USA typically trail fashion runway style. It not unusual, accordingly, to find lapels as small as 2″ in box stores…while European designers are featuring lapels 3 1/2″ and larger! A better alternative is a fashionable 3-3 1/4″ lapel. 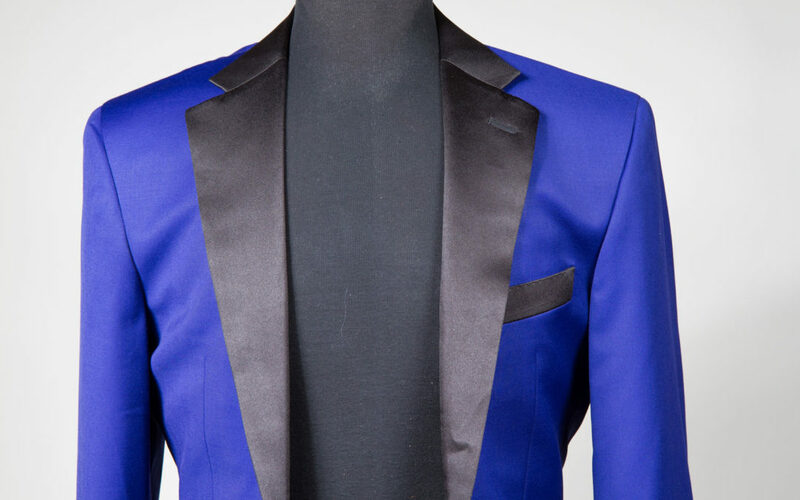 Generally, if one has a chest size of 43″ or smaller, a 3 1/8″ lapel is perfect. A 3″ lapel would be reserved for a lighter build while a 3 1/4″ lapel works for those wearing 44″ and larger jackets. If a guy as bigger…let’s say 50″ chest or larger, a larger lapel might be appropriate. You should defer to your professional tailor. Featured above is gorgeous red linen from my Summer Track Collection. The model is a slim 40″ Regular, and the lapel width is 3 1/8″ I think most would agree that this lapel looks fine, providing its wearer a timeless look sure to provide years of wearing enjoyment. Please feel free to contact me via email with your sartorial questions.